Learn how to make Sachertorte, a classic dark chocolate cake from Vienna, Austria. Two dense layers of chocolate cake made from scratch are filled with an apricot glaze and topped with an easy chocolate ganache. Serve with unsweetened whipped cream and coffee for a decadent gourmet treat! 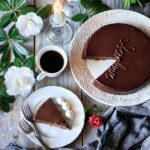 Have you ever heard of Sachertorte? It’s the most famous chocolate cake in all of Austria, and is popular throughout the whole world. 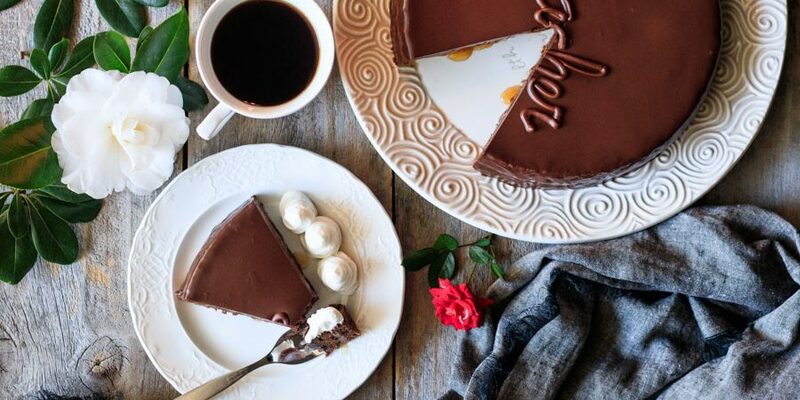 There’s a reason why: this beautiful cake blends the gorgeous flavors of dark chocolate and apricot in one gourmet dessert. 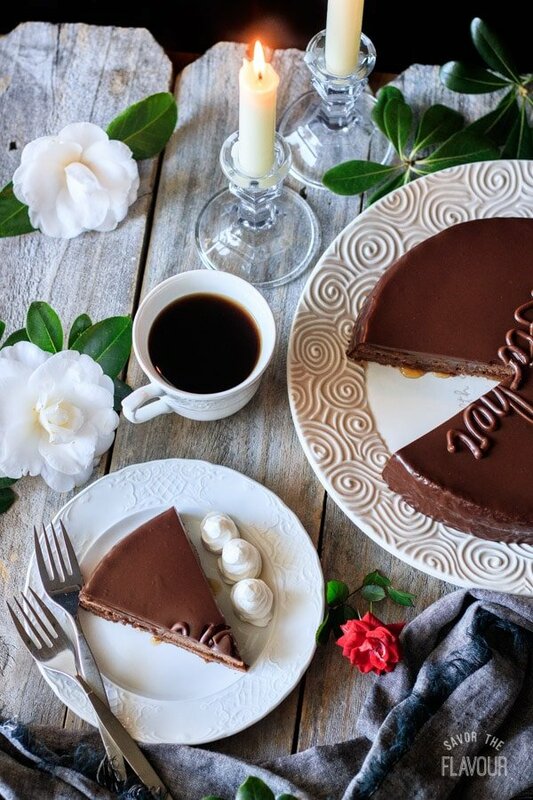 Enjoy your slice with whipped cream and coffee, and you’ll be in chocolate bliss! Sachertorte is a rich, slightly dense chocolate cake from Vienna, Austria. It’s traditionally filled and topped with an apricot glaze, and then covered with a shiny chocolate glaze. The cake is served with a cup of coffee and a mound of unsweetened whipped cream, called Schlagobers in Austrian. Each bite should be dipped into the cream to complement the chocolate and apricot. 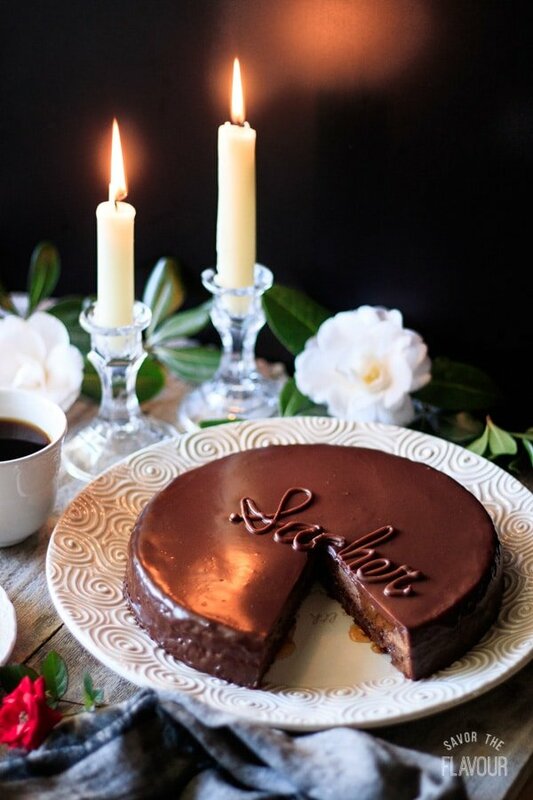 Sachertorte was invented in 1832 by sixteen-year-old Franz Sacher, a kitchen apprentice in Prince Metternich’s palace. The prince was holding a special dinner for important guests that day. Unfortunately, the regular cook had become ill, so Sacher was left to come up with a dessert. Everyone loved the cake, and it was named in his honor. The correct pronunciation is ZACK-er-tort-uh, emphasizing the “z” sound. Click here to listen to the pronunciation. The traditional recipe for Sachertorte does include wheat flour, so it’s not gluten free. However, you can use a cup-for-cup gluten free substitute. How do you store Sachertorte? I like to keep the cake in an airtight cake carrier at room temperature. 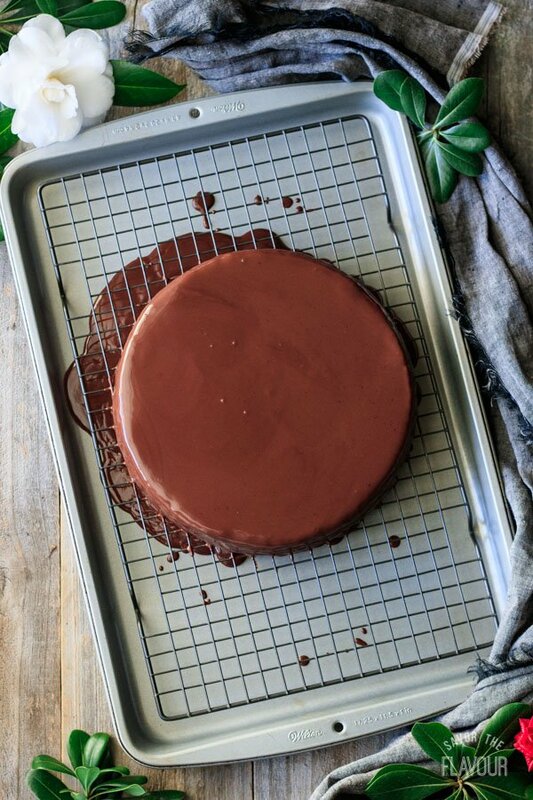 Don’t refrigerate it, or the chocolate ganache will lose its sheen. In fact, the cake keeps well for several days before it’s sliced. Once it’s cut, eat within 2 days. Get out all of the ingredients. Make sure the eggs and butter are at room temperature. (See the Pro Tips section right before the recipe for tips on warming eggs and butter quickly.) You’ll want to preheat the oven to 375 F, butter a 9-inch cake pan that’s at least 2 inches deep, and line its base with parchment paper. 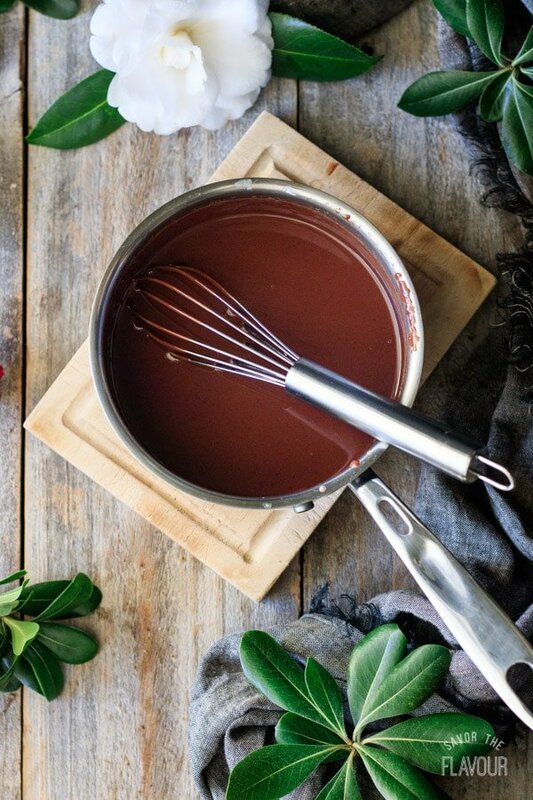 Melt 6 ounces (170g) of the dark chocolate in a heatproof bowl set over a saucepan of gently simmering water. Stir frequently until fully melted, then remove from the heat to cool slightly. Beat the butter until soft, then add the sugar and cream until light and fluffy. Add the egg yolks one at a time, then mix in the vanilla and salt. Scrape down the sides of the bowl and stir in the melted chocolate. Beat the egg whites in a clean, grease-free bowl until stiff peaks form. Be careful not to overmix, or the egg whites will look dry and lumpy. 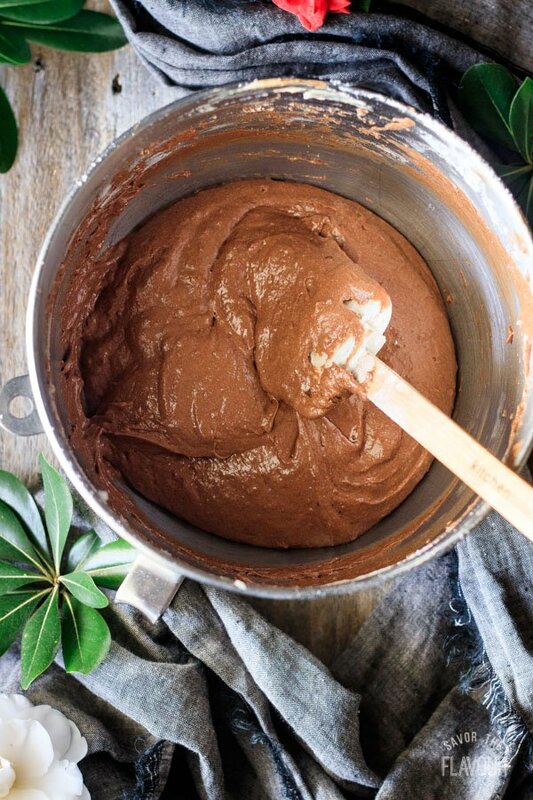 Vigorously stir about 1/3 of the beaten egg whites into the chocolate mixture to slacken it. Add the remaining egg whites and fold until partially combined. 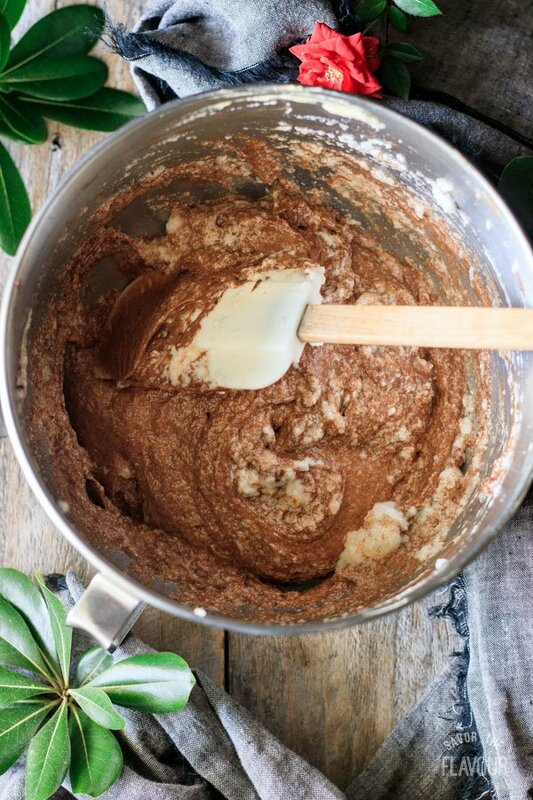 Sift the flour on top of the mixture and continue folding until the batter is perfectly smooth, with no lumps of egg white or streaks of flour. Once the cake has completely cooled, slice off the domed top and cut the cake into two equal layers. Those air holes are neat, aren’t they? Pour the preserves into a sieve set over a bowl. Press the preserves through the sieve with a spoon to remove the lumps of fruit. Spread roughly 1/3 of the apricot glaze on top of one of the cakes, then set the other cake on top. Pour the remaining glaze on top and spread evenly over the top and sides with an angled spatula. The apricot glaze is like a crumb coat of buttercream, keeping the chocolate ganache layer silky smooth. It also provides a beautiful fruit flavor that complements the chocolate and keeps the cake moist for days. Heat the cream in a small saucepan over medium heat until steaming and just barely bubbling. 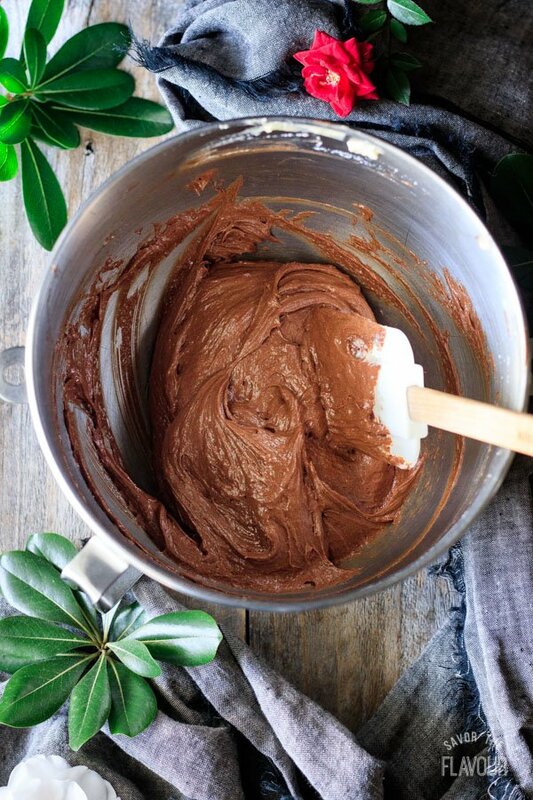 Immediately remove it from the heat and whisk in the chocolate until silky smooth. Let the ganache mostly set, then melt the milk chocolate chips as you did with the dark chocolate for the cake. Spoon the chocolate into the corner of a plastic sandwich bag, twist the top, and snip off the tip to make a piping bag. 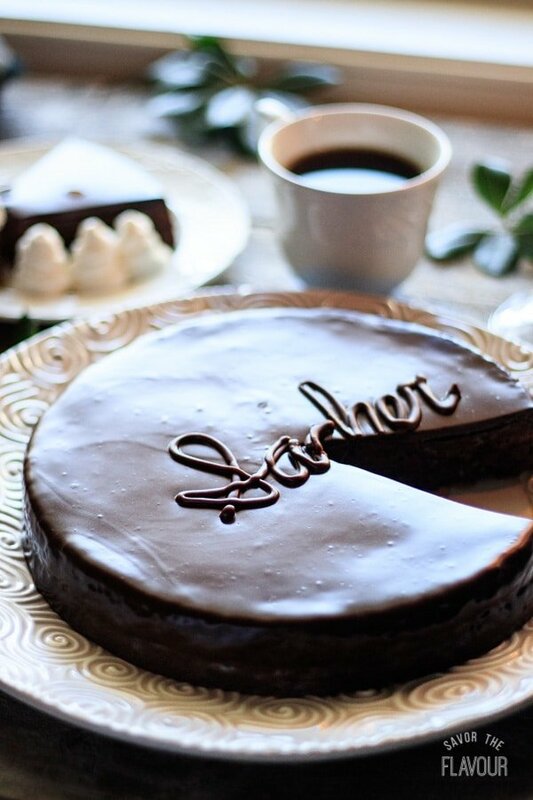 Practice piping the word “Sacher” once or twice, then do it on the cake. Leave to set completely. 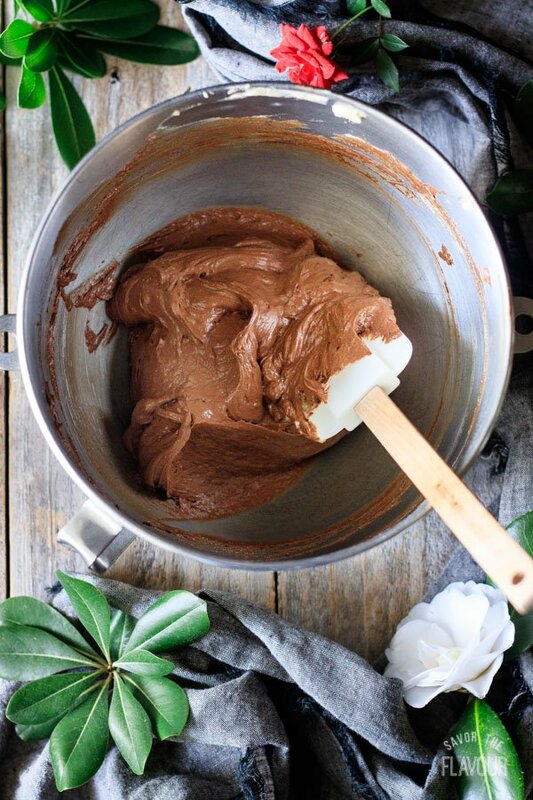 The ganache will harden into a silky, shiny topping. Serve in slices with unsweetened whipped cream (called schlag in Austrian) and a cup of coffee. Use the best quality dark chocolate you can find. It’s crucial to getting the rich flavor of this cake. Separate the egg yolks and whites while the eggs are still cold; it’s much easier than waiting until they’re warm. Be gentle as you fold in the egg whites and flour; you want to keep as much air in the mixture as possible. The air bubbles are the only way the cake will rise! On the other hand, make sure there are no lumps of egg white or streaks of flour, especially at the bottom of the bowl. Don’t overbake the cake, or it will be dry. It’s done when a toothpick inserted into the center comes out clean. Let the cake cool completely before cutting it into layers. 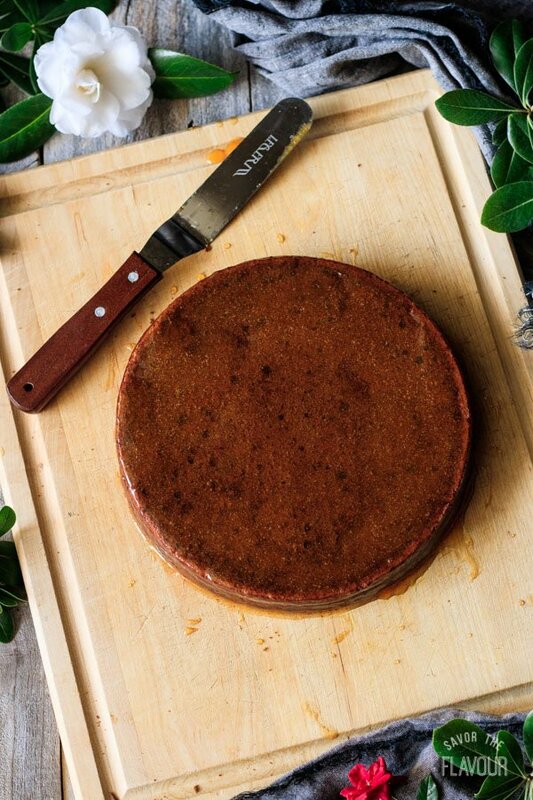 To have a perfect clean-cut cake, run a sharp knife under very warm water, then dry it off between each cut. Craving chocolate? Try these other delicious desserts to satisfy your sweet tooth. Flourless Chocolate Roulade: this beautiful chocolate cake is rolled up with fresh whipped cream. Easy Individual Chocolate Lava Cakes: moist little cakes filled with molten chocolate. No Bake Dark Chocolate Cheesecake: a decadent treat perfect with a drizzle of raspberry coulis. 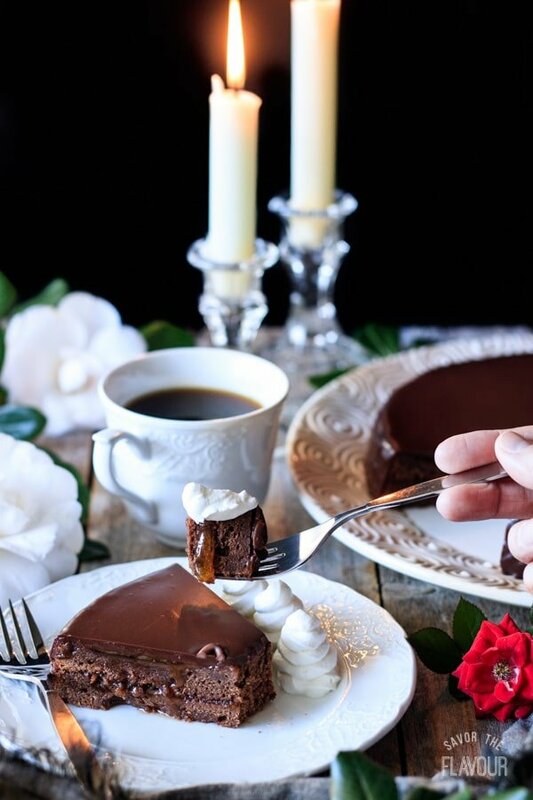 Did you make this Sachertorte recipe? Please leave a star rating below to share how you enjoyed it. Preheat the oven to 375 F. Lightly butter a 9-inch cake pan (it should be at least 2 inches deep) and line the base with parchment paper. 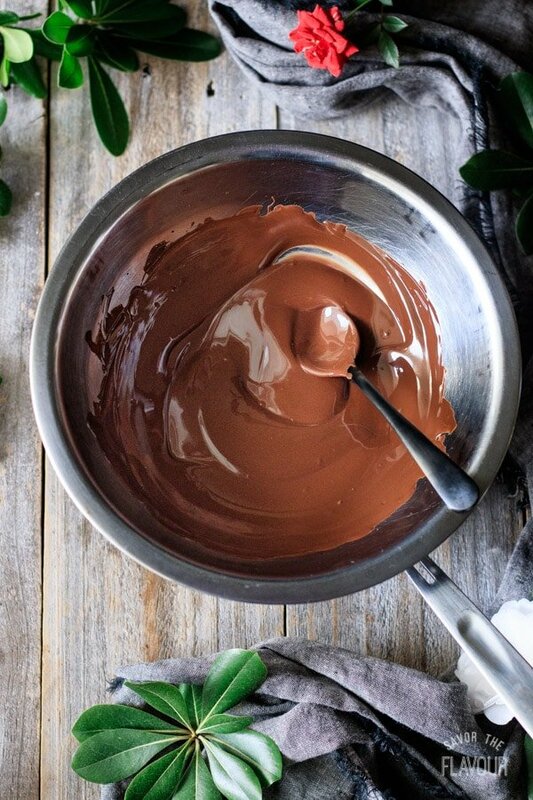 Break up the chocolate and place it in a heatproof bowl. Set the bowl over a saucepan of gently simmering water, making sure the steam doesn’t touch the chocolate and the bottom of the bowl doesn’t touch the water. Stir frequently until the chocolate is melted, then remove it from the saucepan to cool slightly. 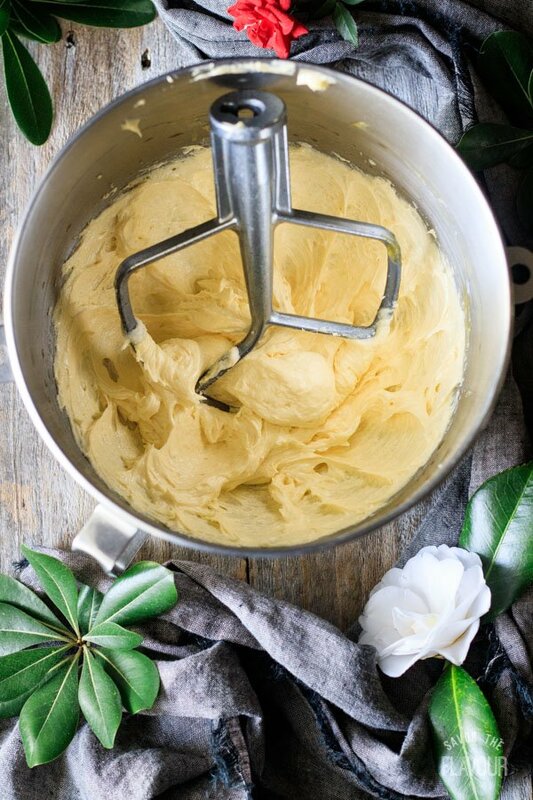 Beat the butter in the bowl of a stand mixer fitted with the paddle attachment until smooth, then add the sugar and beat until light and fluffy. Scrape down the sides of the bowl with a flexible spatula, then mix in the egg yolks, vanilla extract, and salt until well blended. Scrape the bowl again, then stir in the chocolate. 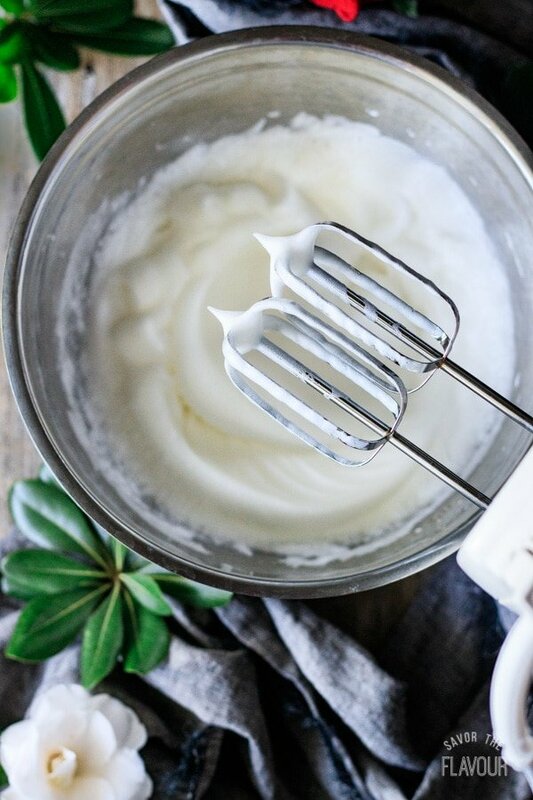 In a clean, grease-free bowl, whisk the egg whites until stiff enough not to fall out of the bowl if it’s turned upside down. Don’t overbeat, or the egg whites will look dry and lumpy. 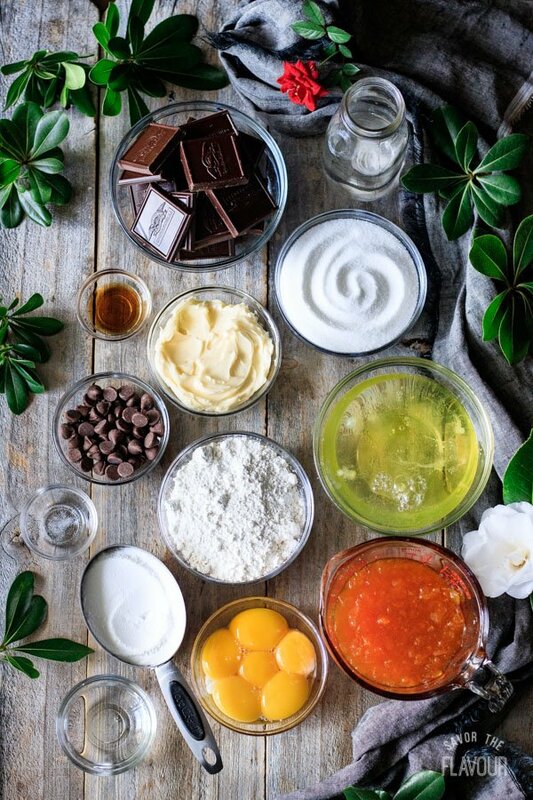 Energetically stir 1/3 of the egg whites into the chocolate mixture to slacken it, then gently fold in the remaining egg whites until flecks of egg white remain. Sift the flour on top of the mixture, then continue folding until the mixture has no lumps of egg whites or streaks of flour anywhere. Gently pour the batter into the prepared pan and tap it on the counter a couple times to remove any large air pockets. Bake in the middle of the oven at 375 F until the cake is risen and a toothpick inserted in the center comes out clean, about 26 minutes. Be careful not to overbake, as the cake will be dry. 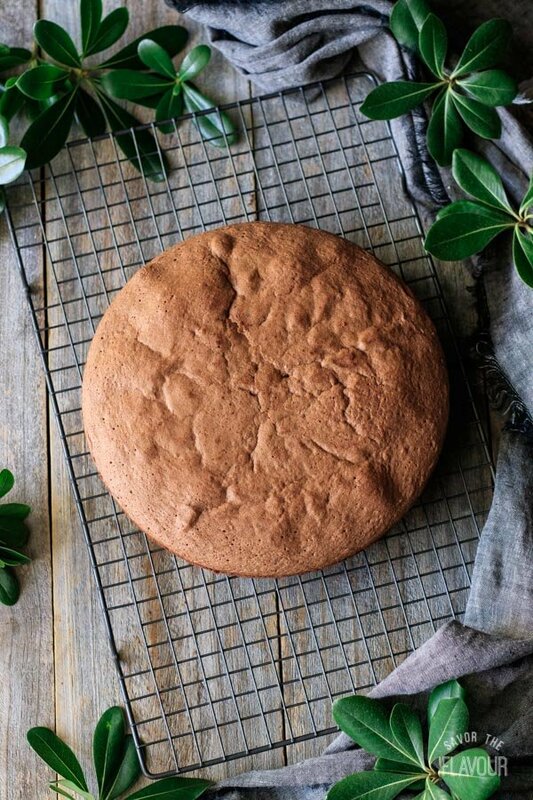 As soon as the cake comes out of the oven, run a thin knife around the edge of the cake and turn it out onto a flat surface and let it rest there for 10 seconds or so. This will help flatten the domed top of the cake. Then, turn the cake right side up and place on a wire cooling rack until completely cold, approximately 1 hour. 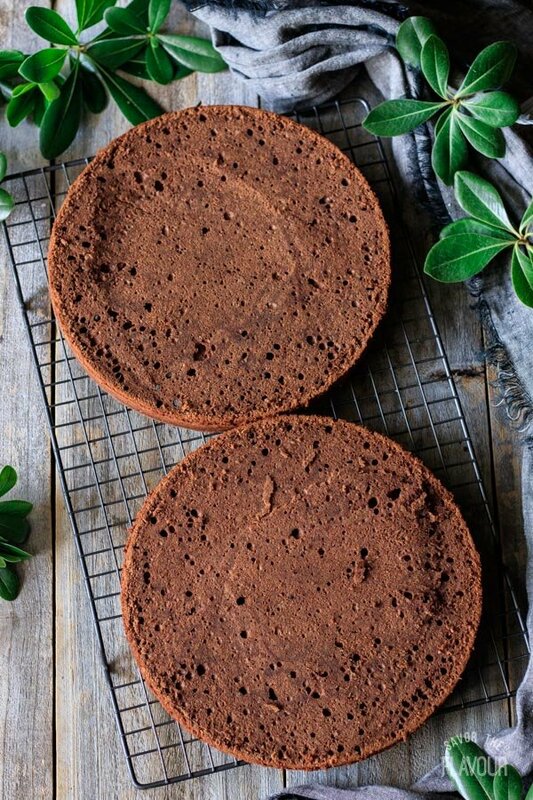 Once the cake has cooled completely, carefully slice off the domed top with a serrated knife, then slice the cake in half to create two layers. 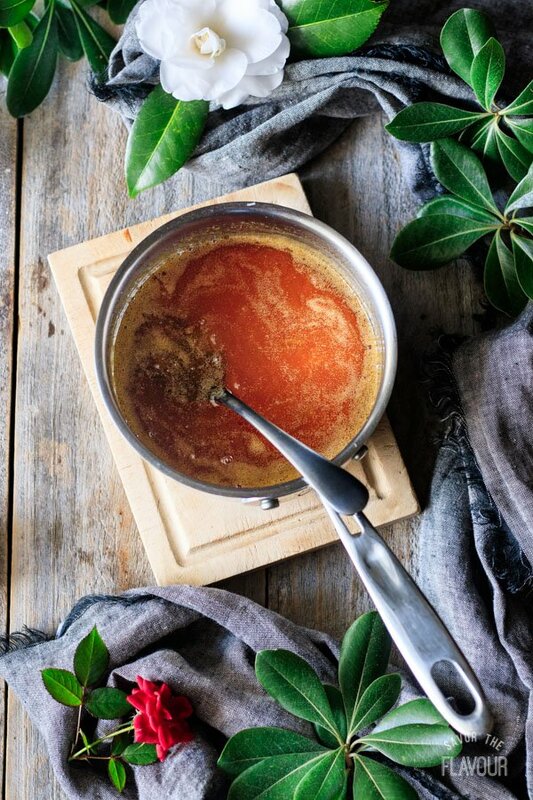 Place the apricot preserves in a small saucepan over medium heat. Stir until warm and melted, only adding a little water if the preserves are too thick. 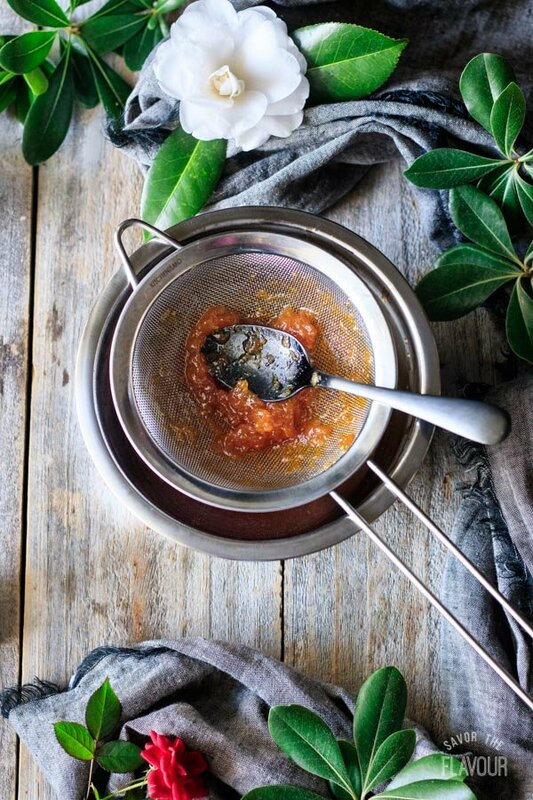 Press the preserves through a sieve with a spoon to remove the lumps of fruit. Spread about 1/3 of the preserves on top of one of the cakes, then place the other layer on top. Pour the remaining apricot glaze on top and smooth over the top and sides of the cake with an angled spatula. Leave to set completely. Pour the heavy whipping cream into a small saucepan set over medium heat. Heat until steamy and just barely bubbling, then immediately remove from the heat and dump in the dark chocolate. Whisk until smooth. Let the ganache cool for a minute or two until slightly thickened, but still pourable. Place the cake on a wire cooling rack set over a cookie sheet. Pour the ganache evenly over the top and sides of the cake, allowing the excess to drip off the rack onto the cookie sheet below. Leave to set completely. Your finger should not stick to the chocolate when it’s set. 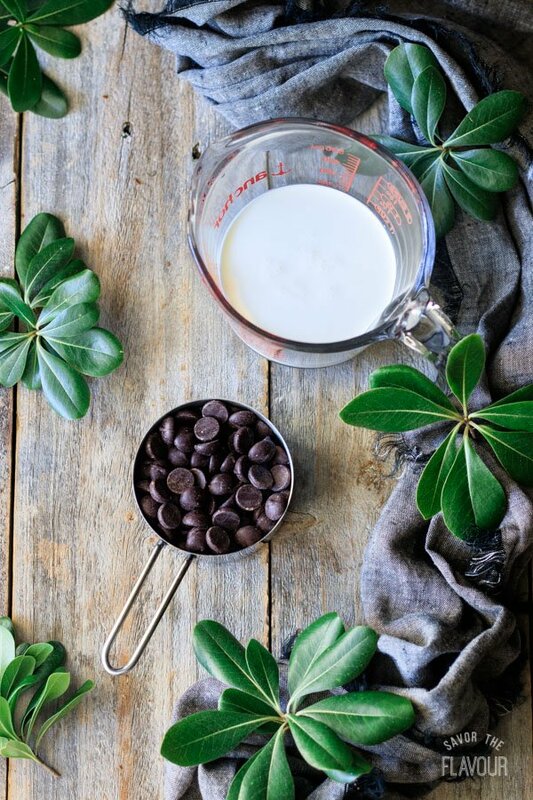 Before the ganache is completely set, melt the milk chocolate chips in a heatproof bowl set over a saucepan of simmering water, stirring frequently. Pour the chocolate into a plastic sandwich bag, twist the top, and snip off the corner to create a mini piping bag. 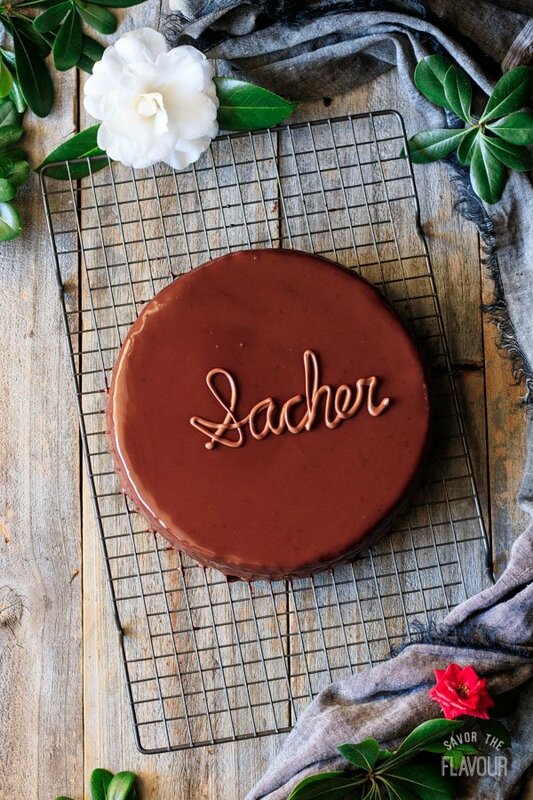 Practice piping the word “Sacher” on a paper towel, then pipe “Sacher” on top of the cake to decorate. Leave to set completely. Serve the cake in slices with generous amounts of schlag (unsweetened whipped cream) and coffee. Sachertorte keeps the best at room temperature. It tastes the best when eaten during the first 2 days after being cut. Sacher Torte is one of of my favorite desserts. I love the one you get at the Sacher Hotel in Vienna or Salzburg. Your recipe looks great. Hi Gerlinde! Thank you so much for your kind words! I love Sachertorte too. It would be so much fun to try the authentic one from the Sacher Hotel!